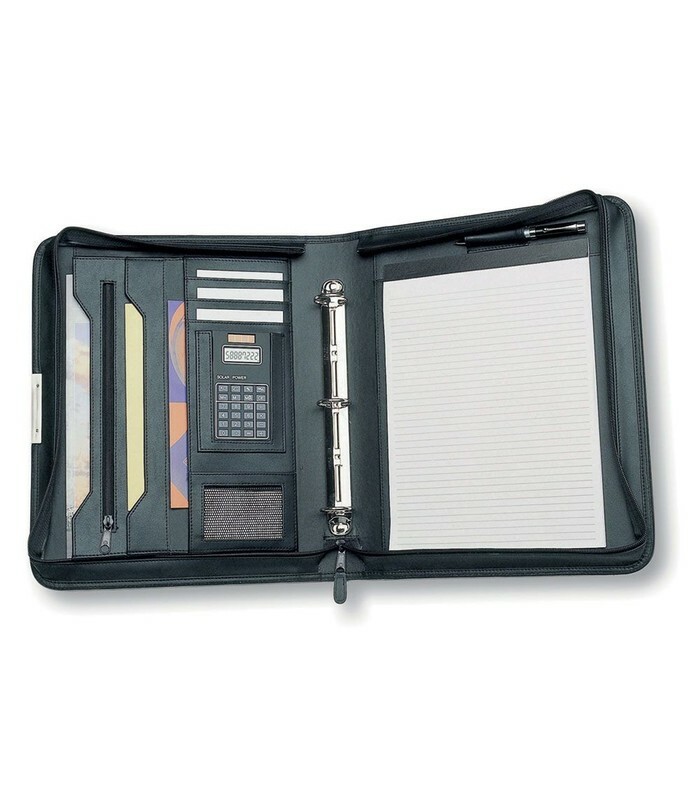 Features include zippered closure@ 3-ring binder@ pen loop@ solar calculator@ gusseted and zippered pockets@ business card holders and A4 lined pad which inserts from the top. Pen not included. Ring size: 32mm Diam. Check out our Tablet Compatibility chart to see which tablets fit in the product. Packaging Wrapped in tissue paper and presented in a plain black tuck box.